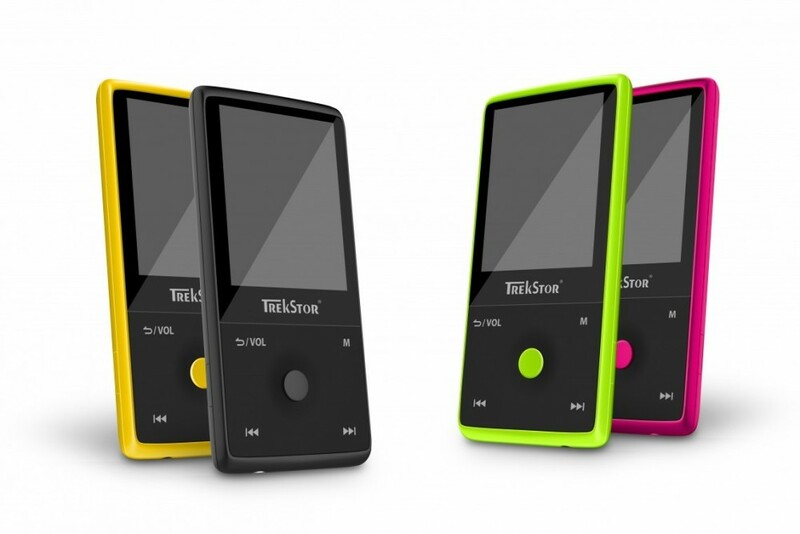 The latest edition of the TrekStor i.Beat move BT is a feast for the eyes as well as the ears. The MP3-Player comes in dazzling, fresh colours, ensuring it is a focal point, and it stands out on account of its new Bluetooth function, which allows you to keep your hands free. The i.Beat move BT lets you enjoy your music. It shines with its sound and provides many interesting functions that allow you to truly experience your music. You can adapt the sound to your individual listening habits using the 7 equalizer functions. The ID3-Tag display provides you with various modes for your music and the music library helps you find every track in a few clicks. Users are sure to be impressed by how easy it is to operate the device thanks to the simple and intuitive menu structure and the neat control panel. Enjoy the integrated Bluetooth function of the i.Beat move BT, as it allows you can use your MP3-Player on the go without getting tangled in any long, annoying cables. The wireless i.Beat.move BT is as light as a feather, weighing in at just 23.5 g, meaning it can discretely slip into any pocket. Music streaming via Bluetooth to suitable headphones or loudspeakers is simple, meaning you can relax and enjoy total freedom with your favourite music. The i.Beat move BT has an extremely long battery life. When fully charged, it can entertain you for up to 24 hours* with the music of your choice. Have you got the stamina? The i.Beat move BT offers the option to record voice memos. The next time you hear a snappy quote, get an amazing idea or if you just want to remember an ingredient for a recipe, you can ‘note’ it quickly on your i.Beat move BT. The i.Beat move BT is just so much fun and we hope you enjoy using it! i.Beat move BT, Hi-Speed USB 2.0 cable (USB-A / Micro-USB), Operating instructions, Stereo headphones.